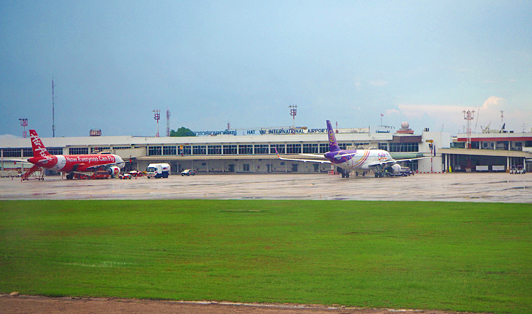 Hat Yai Airport is an international airport near the city of Hat Yai. It is a major airport and it serves the southern Thailand area. It is located 15 km away from Hat Yai city and its runway can have 30 flights per hour. You’ll find minibusses, buses, taxis in front of the airport, and even the blue songthaew covers the area. There is a taxi desk located outside the arrivals hall of the terminal between gate 7 and gate 8.